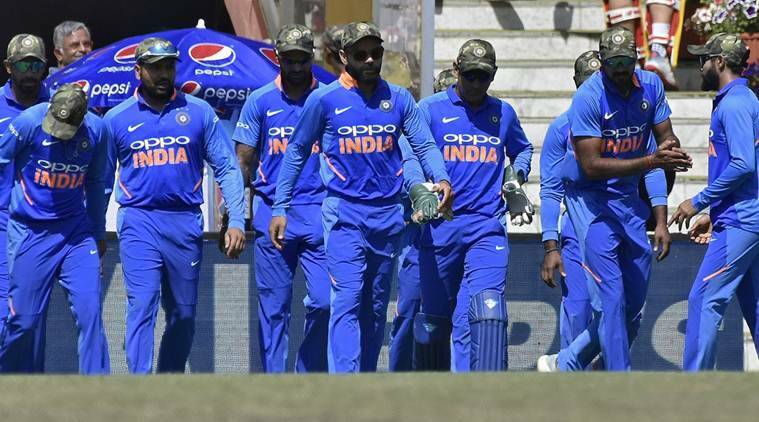 The Indian cricket team wore camouflage caps in Ranchi during their third ODI against Australia as a tribute to the armed forces. Accusing Virat Kohli’s team of politicising the game of cricket, Pakistan Minister Fawad Chaudhry has demanded that the International Cricket Council (ICC) take action against Indian cricketers for wearing camouflage military caps during the third ODI against Australia. “It’s just not Cricket. I hope ICC ll take action for politicising Gentleman’s game … if Indian Cricket team ll not be stopped, Pak Cricket team should wear black bands to remind The World about Indian atrocities in Kashmir… I urge #PCB to lodge formal protest (sic),” the Pakistan Information Minister tweeted. Taking an exception to the gesture, Pakistan Foreign Minister Shah Mehmood Qureshi said the International Cricket Council must do something about it. “The world saw that the Indian cricket team wore military caps instead of their own, did ICC not see this? We think that it is the ICC’s responsibility to take notice of this without the Pakistan Cricket Board (PCB) bringing it up,” Qureshi was quoted as saying by Pakistan media. As a mark of respect to the CRPF jawans who lost their lives in the Pulawama terrorist attack, Indian cricketers sported the Army caps and also donated their match fee for the welfare of the families of the martyrs. Former captain MS Dhoni, who has held the honorary rank of Lieutenant Colonel since November 2011, distributed the caps to his teammates before the start of the game. In the commentary box, former India captain Sunil Gavaskar handed the caps to his compatriots Sanjay Manjrekar, Murali Karthik, Laxman Sivaramakrishnan and Harsha Bhogle. PCB chairman Ehsan Mani later said that the governing body is in touch with the International Cricket Council (ICC) over the issue of the Indian team wearing military caps. “We are talking to the ICC about it and I will not say anything more about it,” Mani was quoted as saying by PTI. India were leading the five-match series 2-0 before losing the Ranchi ODI by 32 runs. Australia put up a target of 314 for India to chase largely thanks to a 193-run opening stand between Usman Khawaja and Aaron Finch. Khawaja scored his maiden ODI ton in the match. Although Kohli scored a century in the chase, India ended up falling short by 32 runs.